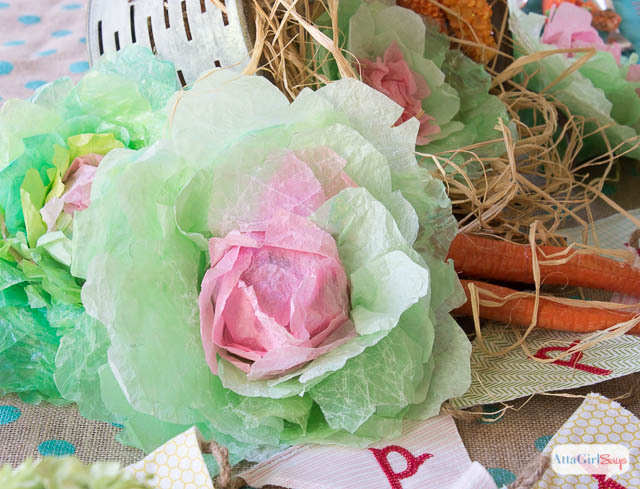 If you’re a fan of coffee filter crafts, you’ll love making these colorful spring cabbages for your spring and Easter decorating vignettes. 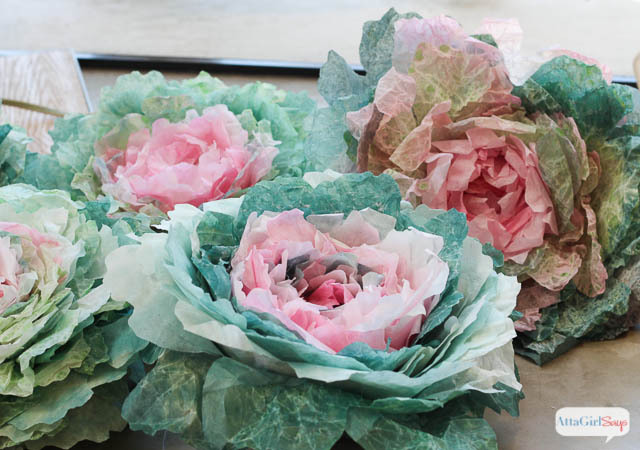 Keep reading for step-by-step instructions and a video tutorial that will teach you how to make these realistic-looking cabbages. 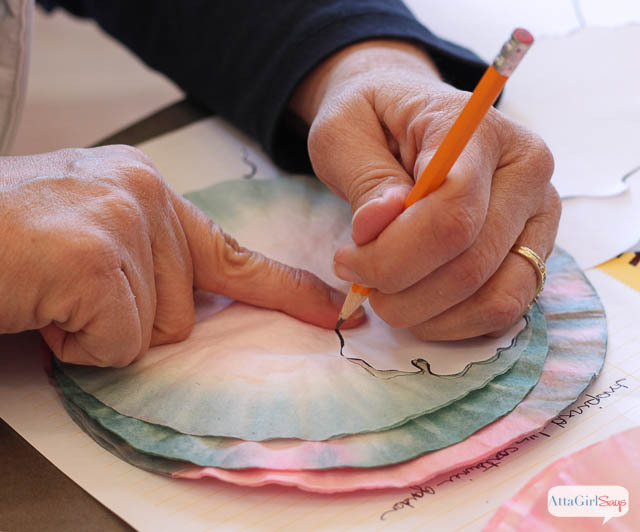 Do you love coffee filter crafts? 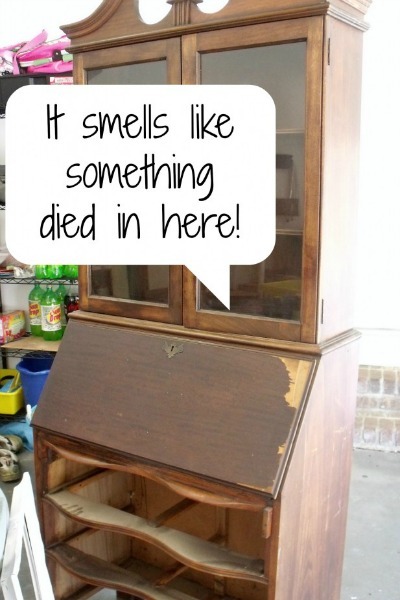 Well, this one is certainly unique. 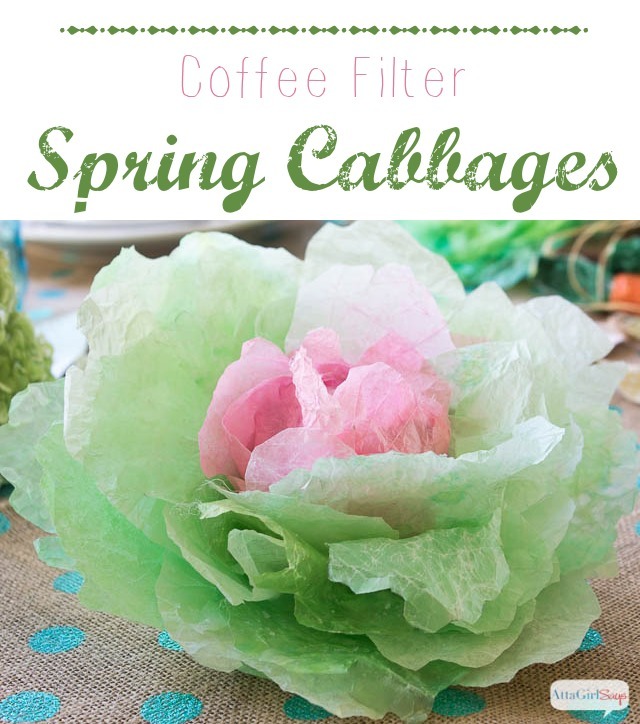 My friend Suzy and I have been talking about sharing these realistic coffee filter cabbages with you for more than a year! You read that right. A year! We’ll we’ve finally gotten our stuff together and our schedules aligned. 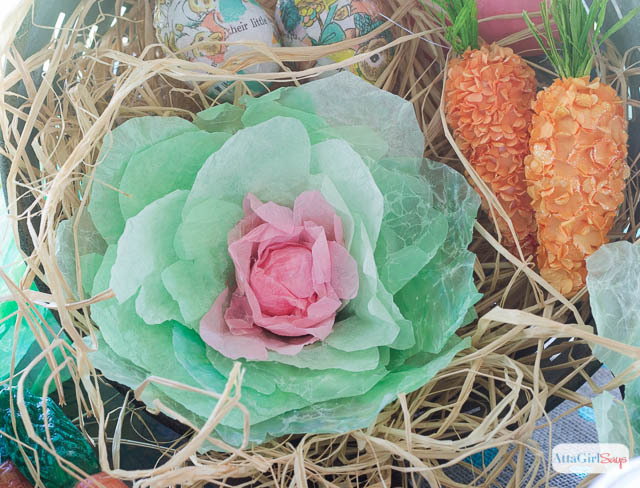 Today we’re both sharing a video tutorial for how to make these cabbages and how we’re using them in our spring and Easter decorating. 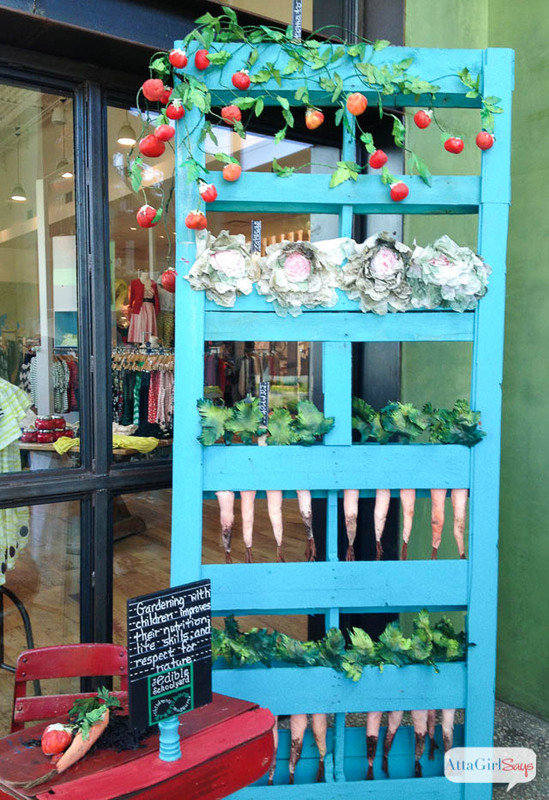 We learned how to make them last year at a display workshop at our local Anthropologie store. 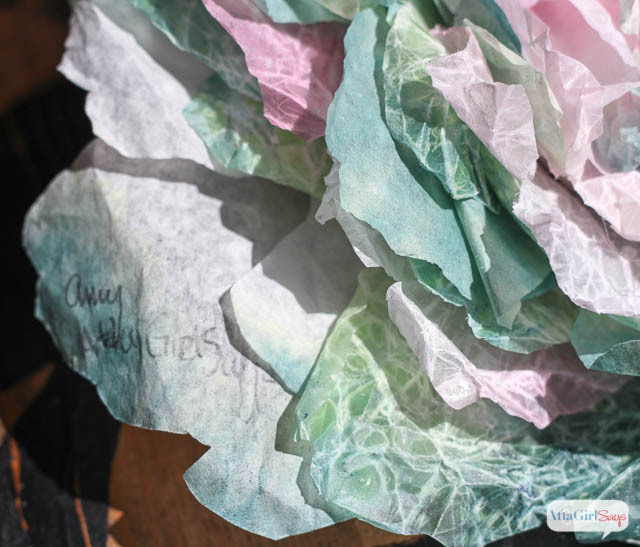 The store later used our coffee filter cabbages as part of their Earth Day window display. 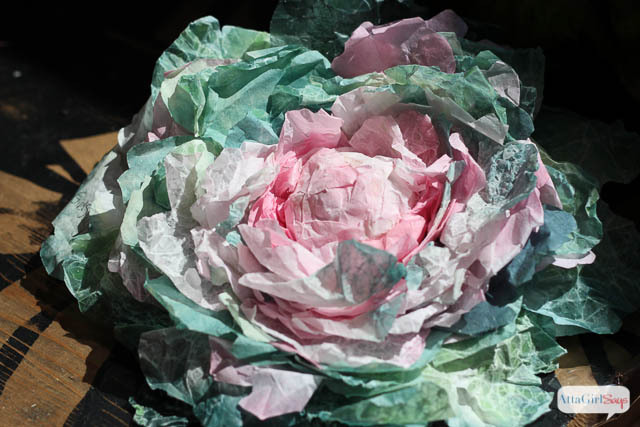 So Suzy, who blogs over at Worthing Court, and I made a video tutorial to walk you through the entire process, from dying the coffee filters to assembling the cabbages. 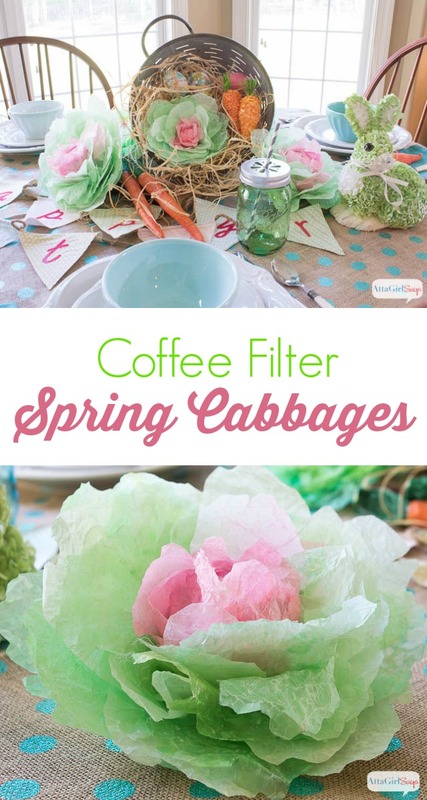 Coffee Filter Cabbages from Amy Buchanan on Vimeo. I think we need our own TV show! How about you? Admittedly, the video is kinda long. 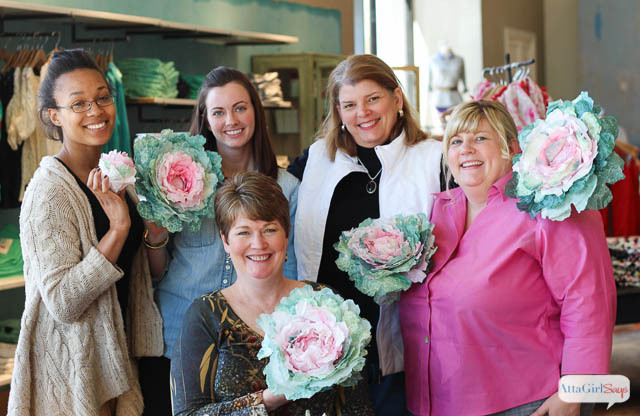 But if you’re planning on making these cabbages, you’ll find it useful to follow along. 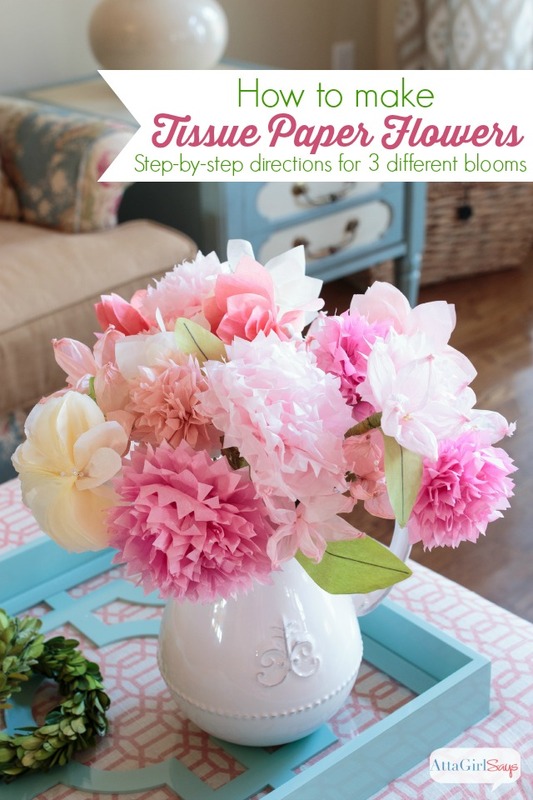 You’ll start out by dying coffee filters green and pink. 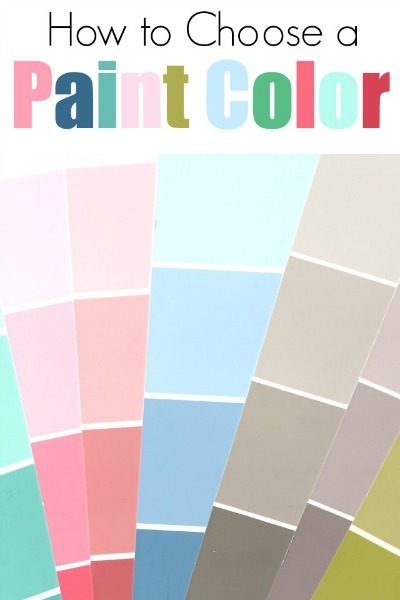 You can use food coloring, Easter egg dye or Rit dye. 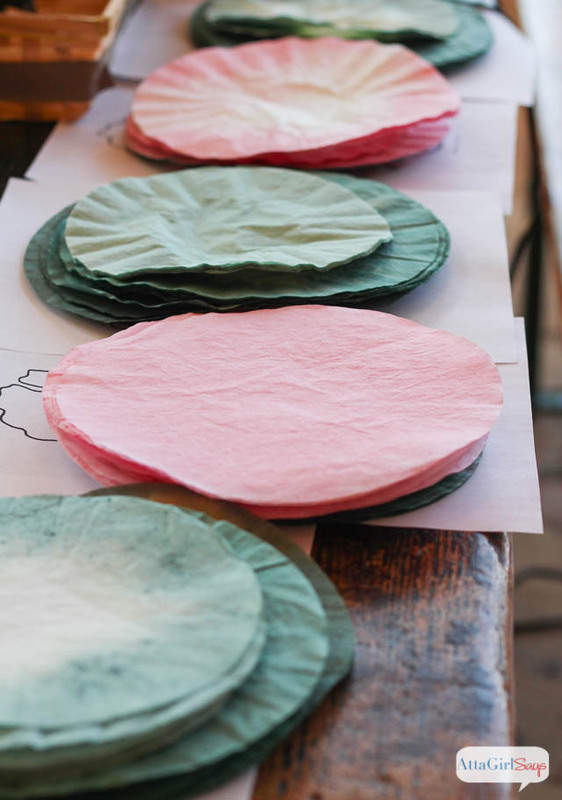 Suzy gives you the scoop on the best method for dying and drying the coffee filters. 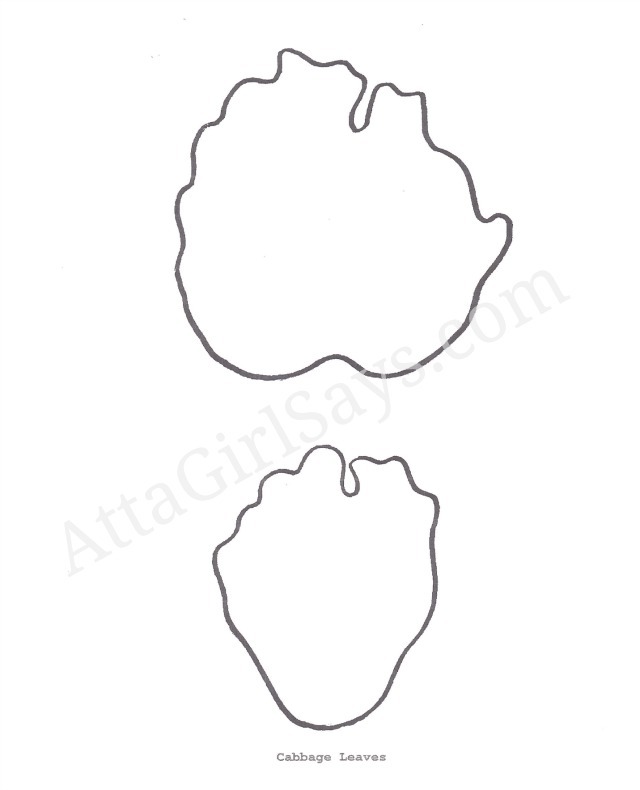 You can download a printable pattern in PDF format here. 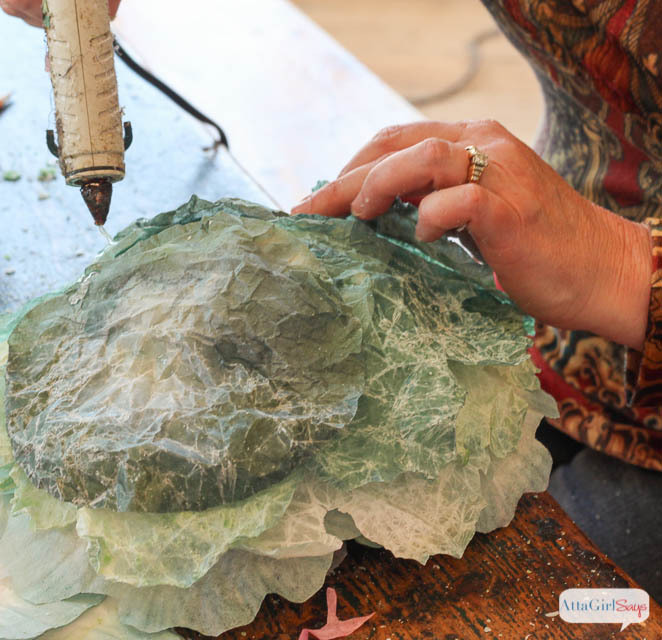 Then it’s time to start assembling your cabbage by hot gluing leaves to a ball of newspaper wrapped in masking tape. We started with pink leaves, then added green as we worked our way out. Here’s one of our classmates making her cabbage. 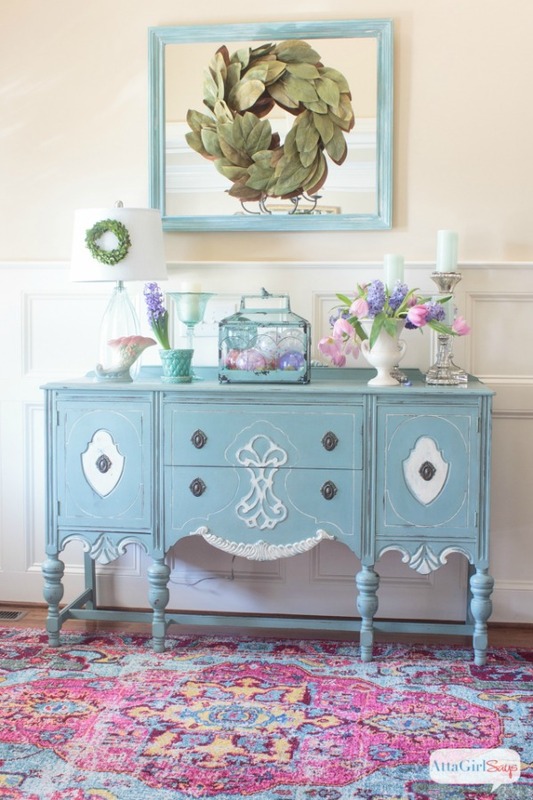 You’ll see she used darker green coffee filters on the outside. Some people used fewer waxed leaves, but I wanted a lot for my cabbage. It’s just personal preference. I’ve made enough of these to realize that no two cabbages are alike, and each is a work of art. Just like the real thing. 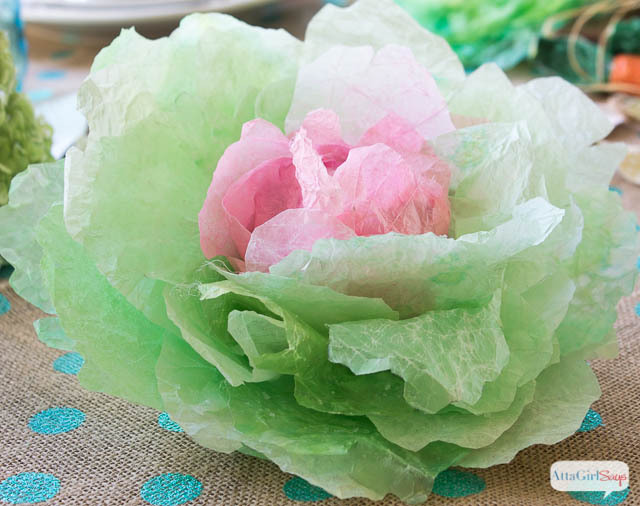 I’m using my coffee filter cabbages as the centerpiece for an Easter table setting. I nestled my cabbages and some carrots in an olive bucket from Walmart. 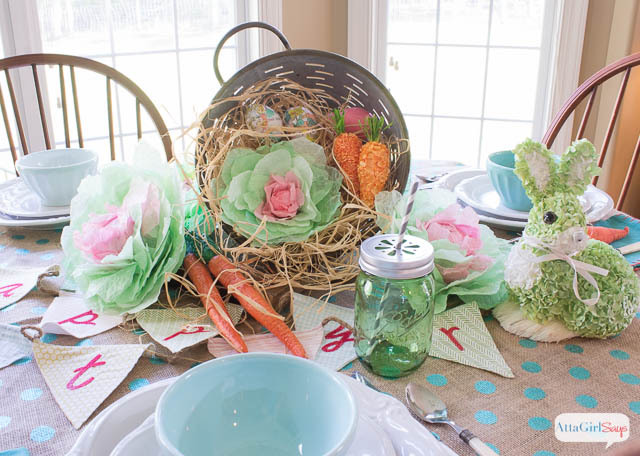 This display was super easy to throw together using some burlap yardage, Easter decorations I already had, my decoupaged storybook Easter eggs, mix-and-match dishes, silverware and colorful mason jars. I am so pleased with how my cabbages turned out. So realistic. 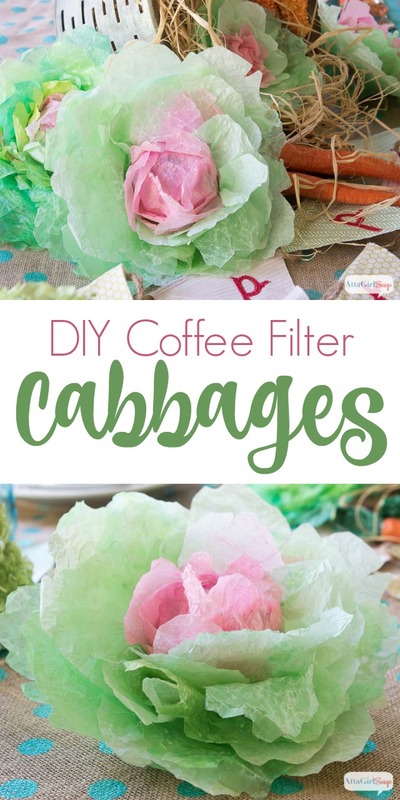 Wait until you see the adorable way Suzy is displaying her coffee filter cabbages. 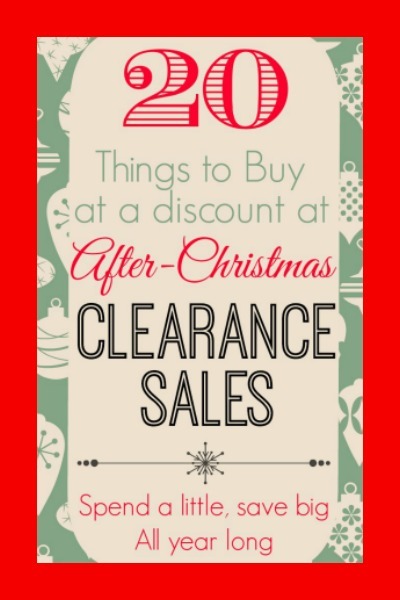 Don’t forget to pin so you can make your own. I had so, so much fun making these and putting the video together with you! 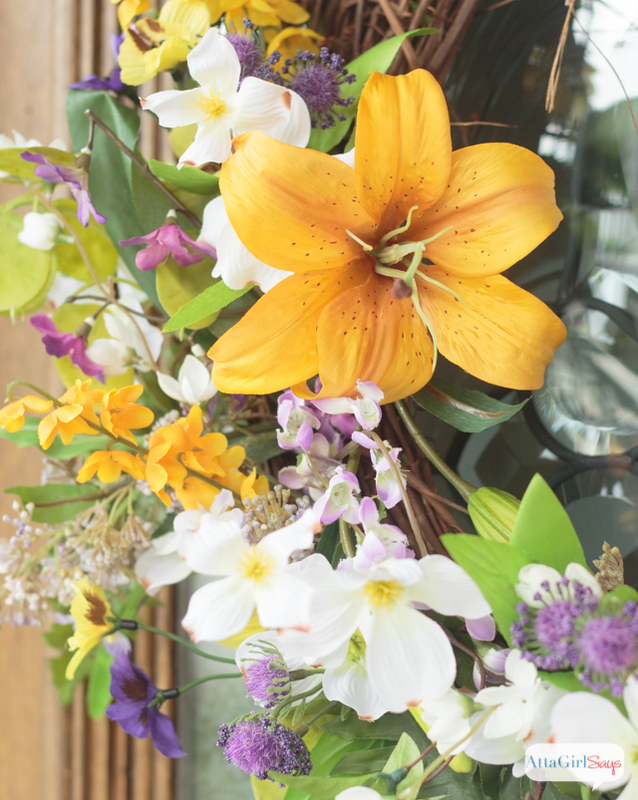 I adore the centerpiece that you used them in. Too cute! Ladies! Normally I don’t “do” fake, but I LOVE these! 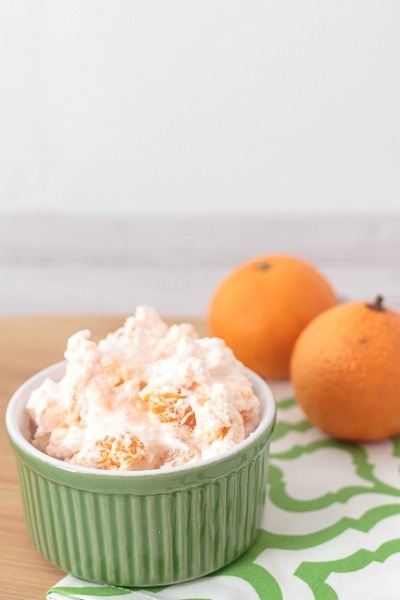 I am going to make these soon and link y’all! That is amazing! I’ll watch the video later when I can. I know y’all had fun! These are just precious!!! If you ever hold another class, I’m in !!! 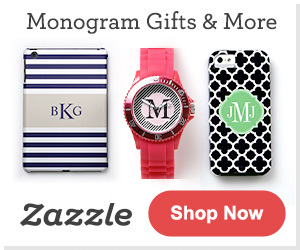 Wow ladies these are amazing!!!!! I can’t believe how fantastic these turned, you superstars!!!! Happy Easter! 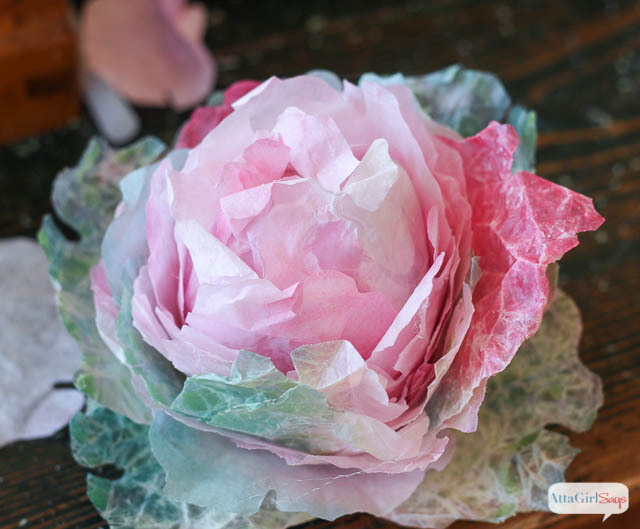 Seriously, the best coffee filter craft I’ve ever seen! 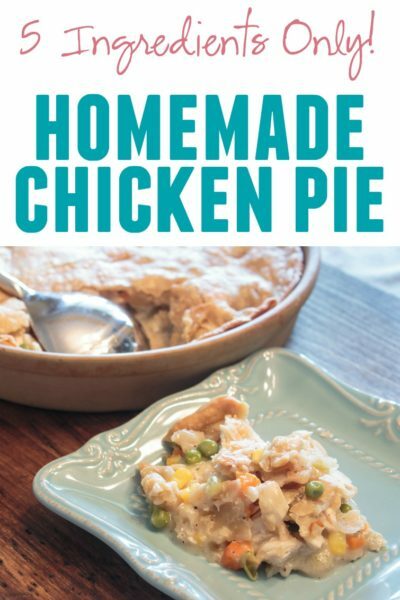 Can’t wait to make my own!! Thanks Amy and Suzy!